These essays by Walter Boomsma unpack the teachings of the Grange and relate them to today’s world and our everyday lives,” writes National Master Betsy Huber. Many people, including Grange members themselves seem to be wondering about the relevance of this 150 year old organization in modern society. They may find some answers in Exploring Traditions—Celebrating the Grange Way of Life, a series of essays encouraging readers to understand the basis of Grange ritual and tradition. This is not a “guide to the Grange,” it truly is an exploration of some of the words and actions found in the Grange ritual and tradition. Included are the Grange Mission Statement and Declaration of purposes, allowing readers to take away from the book a new and deeper understanding of the Grange—not merely as an historical organization, but also an organization that teaches a way of life that aligns us with nature and creates community. 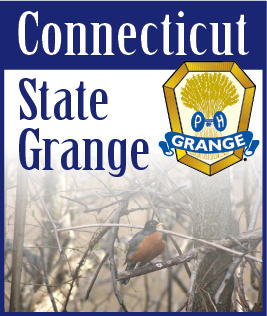 The book is $14.95 plus shipping & handling and is available by visiting NationalGrange.org and clicking on the Grange Store section of the website.